Hello all... 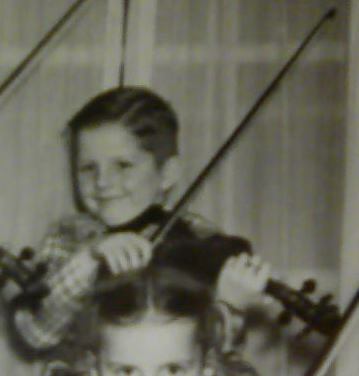 I've been watching some of the videos here on fiddlerman.com and I am very excited to get to learn how to play violin. I've not started yet... still looking for an instrument. I dont have alot to spend right now (husband started a new job so money is tight until we can get stuff paid off... my funds are less than $200). I am not new to the music world. I played in band in high school, but I played wind instruments. I played clarinet from 6th grade through a few years past high school, and am a self-taught saxophone player.I've dabbled in guitar, but I only really know how to play chords and never learned to play guitar with regular sheet music, only chords and very little tablature. I've seen in the store on this site the cecilio violins and have read mixed reviews about the cecilio brand. Not sure what to do about buying a violin. I'm open to any and all suggestions that everyone can give me in helping me to choose my first instrument. I know my price range wont allow me a top-notch instrument, but I just want to get my feet wet and see what I can do before I go and invest a large amount of money in an instrument. Thank you in advance for any suggestions/advice you can provide! I bought mine used for $149. It's a decent student fiddle, nothing real special but not crap. I'm no expert but I think the highest quality one you can afford is smart. You don't want to get a piece of junk that's hard to play. You know what they say - if you want to play in Texas you gotta have a fiddle in the band. Since Fort Worth is a major metropolitan area, have you checked pawn shops and music stores to see what is available in the used fiddle or rental fiddle market? My own fiddle was a pawn shop find back in the 1940s. She has a good sound and was reasonably priced. Good luck and happy fiddlin'! Hope you get one > It's a lot of fun!!! Buying a violin at a pawn shop is very risky, unless you know what to look for. You may think you're getting a good one and if you don't iknow what to look for, the shop owner can pull a fast one on you. Take someone with you that know's something about violin's if you plan on going there, unless you know what to look for. Fiddlershop is a great place to deal with, you won't get conned. As far as spending less than 200 we have a few options. The Cecilio's are good if they are set up the right way. Unfortunately we don't take the time to go through those violins since the margins are so low and shipping twice would not be worth it. We have a Stentor in our shop that we bought from the distributor as a trial. We decided not to offer them because there were too many problems off the bat. We fixed this one, changed the sound-post (which btw, only had 3 grains, LOL), corrected the pegs, and readjusted the after-length and it sounds many times better. We haven't listed it because we are so busy now a days but if you give us a call on Monday, we can surely ship it to you. We'll beat any price you can find online for a new 4/4 size one plus our luthier has already put in a half hours time into that instrument. Thank you all for your replies. Ive been looking around. After reading everything online and doing my research, ive definately noticed that there are alot of not so good violins out there. Everything in the pawnshops had painted fingerboards. My best options would be here on this website. Fiddlerman: my husband is only licensed to enforce the law in Texas, so I think you are safe! How much is the violin that you mentioned? Sorry... just reread and understood your post. I will call monday! I think we'll do $165 and free shipping.